Timeless in their design, these stunning double halo Aria earrings sparkle with endless beauty. 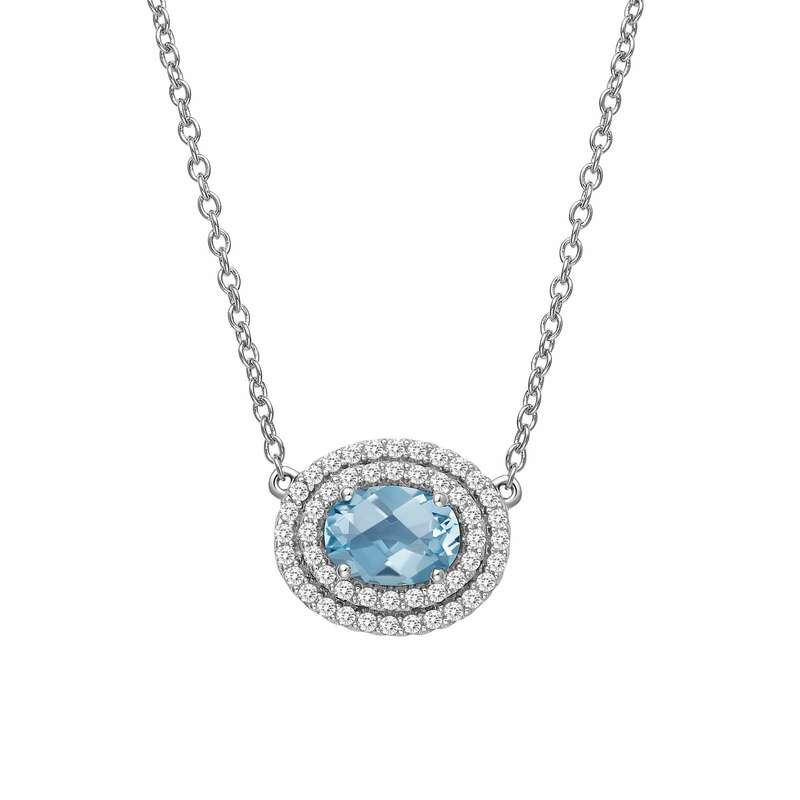 The center stone is a genuine oval cushion checkerboard-cut blue topaz and is surrounded by two rows of Lafonn's signature Lassaire simulated diamonds in sterling silver bonded with platinum. CTTW: Appx CTTW: 2.52 cts. 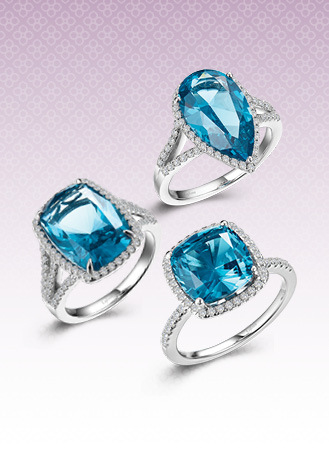 Blue Topaz: Appx 1.52 cts. 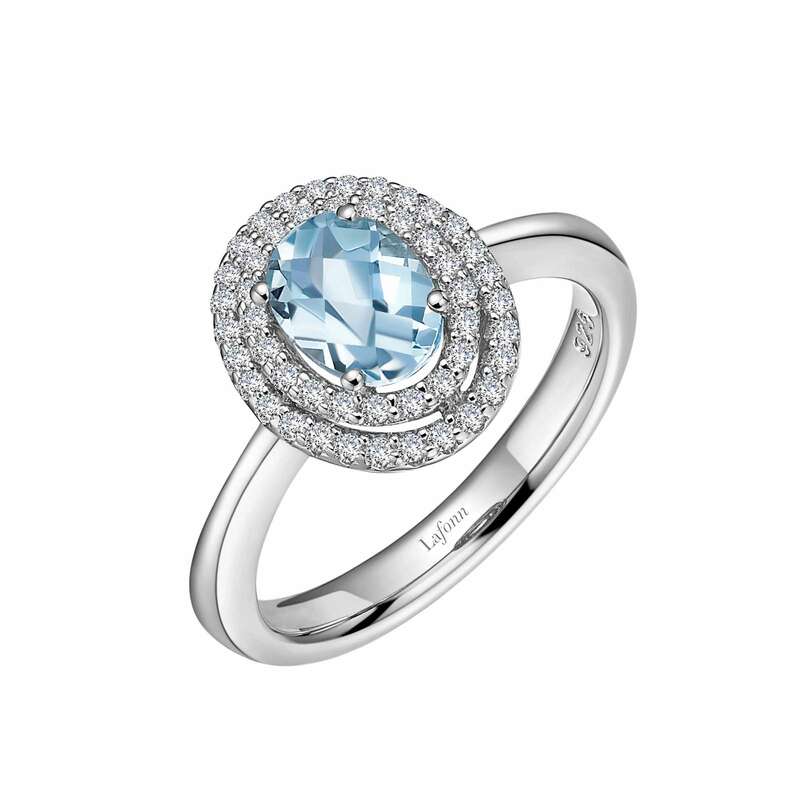 Lassaire simulated diamonds: 1.00 cts.